It’s so exciting to be sharing this big step in our wedding planning process today! 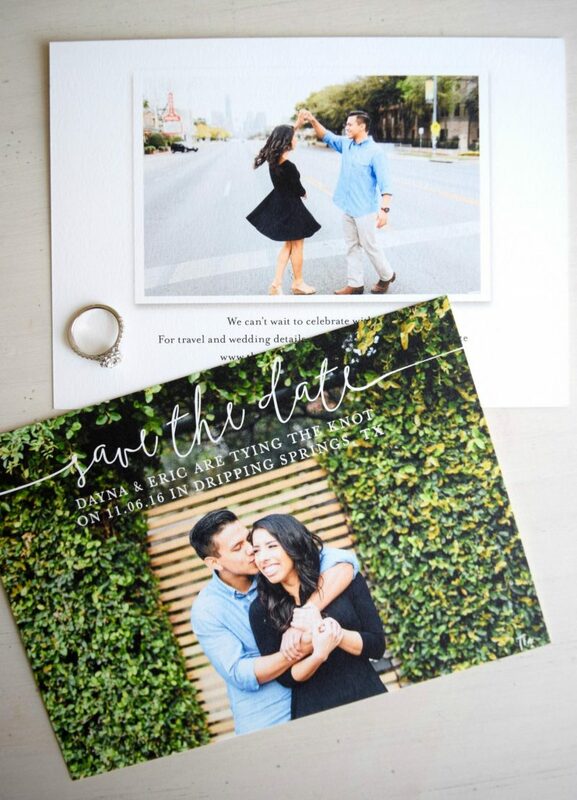 After researching a few different websites for a design that seemed just right, Eric and I decided to use Minted to print our Save The Dates – and I’m totally in love with them! There was a lot to consider for this choice – our personalities, the wedding vibes we wanted, and what would best compliment the gorgeous photos Feather & Twine took for our engagement session. I think we hit the mark perfectly – this design just gives me all the whimsical, simple, and romantic feels. 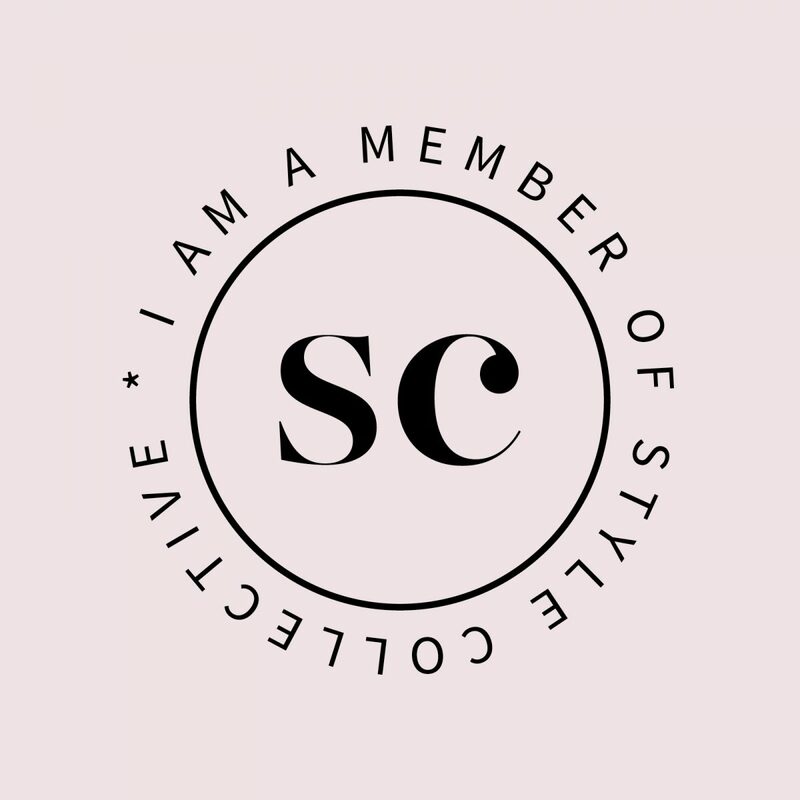 The cool thing about Minted is that it’s a community of independent artists who are able to sell their beautiful designs all in one marketplace. These artists, located all around the world, are given a site where they can grow a business out of their talent and passion. 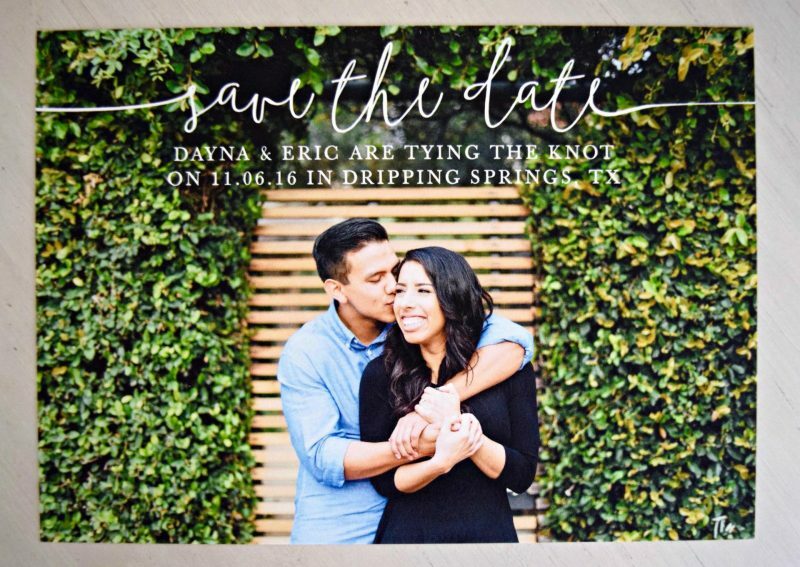 Designing our Save The Dates was a total breeze with this website. Once Eric and I received our engagement photos back in March, I immediately had one I thought would be perfect for our cards. After plugging in a bunch of photos and playing around with the all the styles on Minted, we realized this design was the actual winner without a doubt. The green and white contrast so well, and the carefree script is the dream font I wish I could write everything in. I also really love this photo that cropped perfectly – it captures the genuine happiness I feel all wrapped up in Eric’s arms! Customization with Minted goes beyond just the photo choice and design for the front of your card. You also have the option to change the shape, add one or more photos on the back, turn it into a folded card, and add envelope liners! We didn’t have the budget to do quite allll of those things, but we did add one of my absolute favorite shots to the back – Eric spinning me in the center of South Congress, with downtown Austin in the background. I love that adding a photo to the back let us include another picture we loved – there were so many, I could hardly narrow down what to put in my Facebook album, let alone on a Save The Date. It also let us include some important information for our guests that we didn’t want distracting the front of the card. One of the best bonuses in this whole process?? The free recipient addressing in a pretty style that matched our cards! 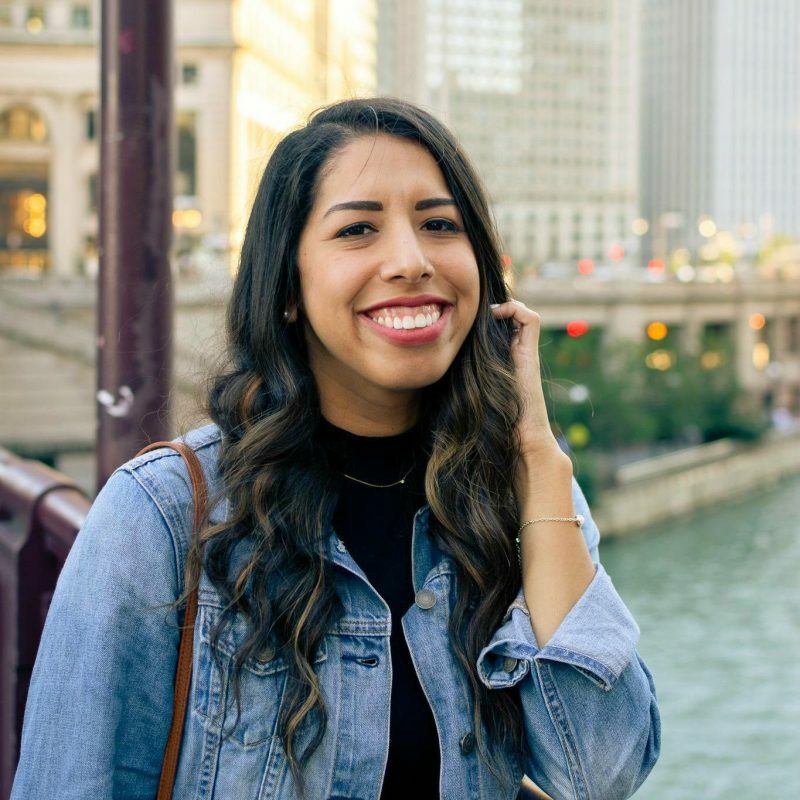 Minted makes it easy to upload a spreadsheet with your guests’ addresses – we pulled the info right from our Google doc guest tracker I talk about in my wedding planning post. Once we submitted our order, reviewing our proof and making any tweaks was beyond easy. When I received the package from Minted, I couldn’t wait to tear it open! Okay, I actually cut it open very carefully, but I did it as fast as possible. It might be tricky to tell from the photos, but the cards are printed matte on thick, high quality card stock. The color is so bright and vivid! 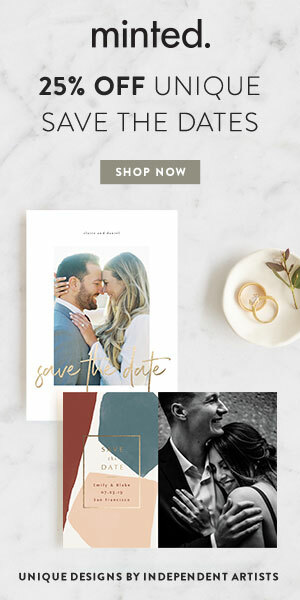 Aside from Save The Dates, Minted offers a whole bunch of other wedding goodies, like table numbers, photo backdrops, shower invitations – as well as paper goods for all the other non-wedding related parties you might have. We will most definitely be using Minted for one of these pretty wedding invitations designs down the road! This post contains affiliate link. All opinions are 100% own. Previous Post Our Story + Celebrating Four Years! The Save the Date cards are beautiful! Good choice! Thank you, Aunt Carmen!! I’m so glad you liked them! Yay!! CANNOT wait to see you in June!